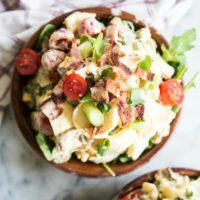 This loaded BLT Egg Salad is a delicious twist on the classic! Boiled eggs are combined with creamy mayo, dijon mustard, bacon, tomatoes, and chopped arugula for a creamy, flavorful lunch that you'll love. Let's talk about how this isn't your standard egg salad, shall we? 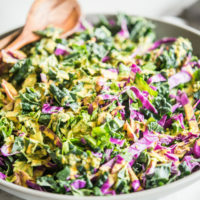 I've shared my Mom's classic egg salad recipe here before, but with this recipe we are taking it up a notch! 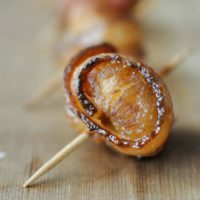 First, let's consider the bacon. 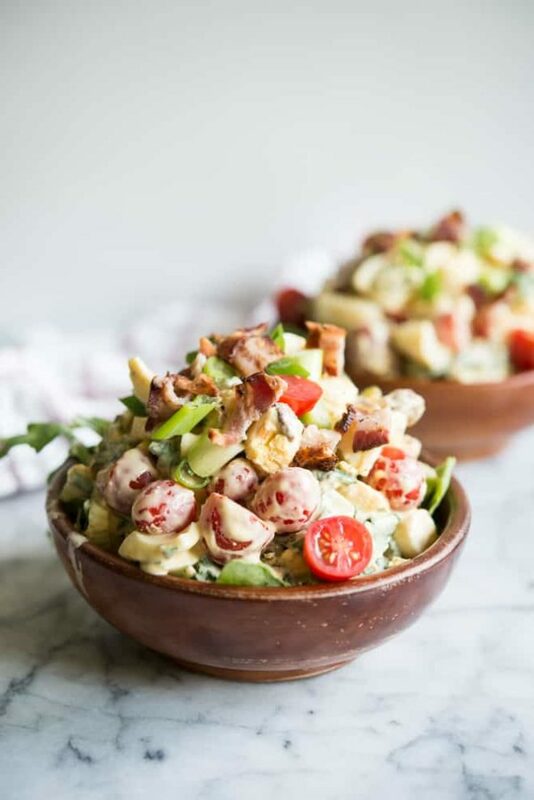 In this recipe we take ALL THE BACON, and we crisp it, then drop it into a creamy salad of hard boiled eggs, mayo, arugula, tomatoes and green onion. 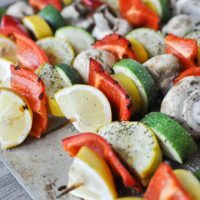 The ingredients for this crowd pleasing lunch staple are so simple, but combined together create a literal flavor explosion in your mouth. 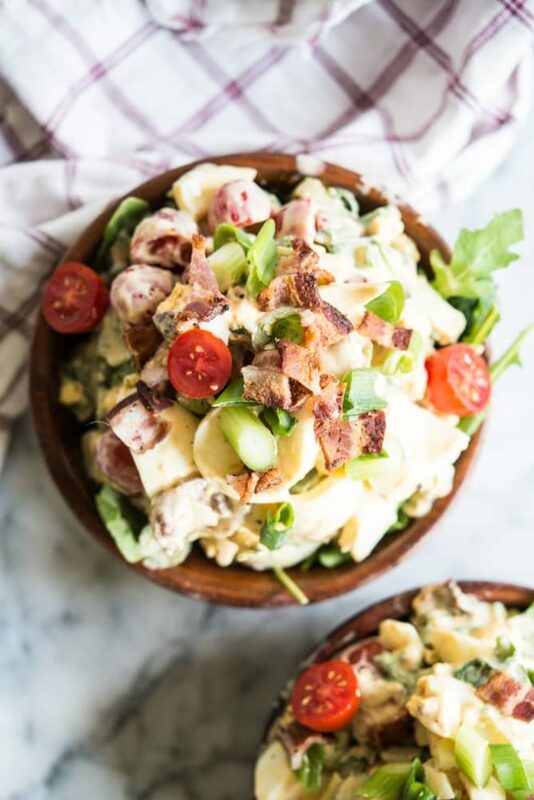 I love chowing down on a big ol' bowl of this Loaded BLT Egg Salad deliciousness with my favorite gluten-free crackers, a lettuce boat, or simply on a bed of greens–it is so versatile! 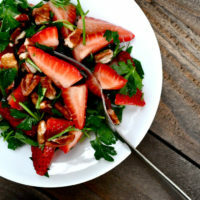 This is another cold salad that requires no break room reheating, is super easy to prepare, and will make the perfect addition to your lunch time routine. One of the reasons I love cold salads like this Loaded BLT Egg Salad is that they’re so forgiving. Throw in a few more tomatoes, a little less bacon, or substitute chives for green onions and it still works—by nature I’m more of a fly-by-the-seat-of-my-pants type of cook, so recipes are always “suggestions” to me. At home, I eyeball spices, approximate amounts, and generally go with what feels right to me because it’s a chance for me to be fun and creative (and let’s face it, that part of our brain is so rarely given free reign, am I right?). So tell me friends, are you a recipe follower or a rule breaker when it comes to cooking? I’d love to know! SO GOOD (and I even ran out of Dijon mustard, and had to use a mix of yellow mustard and horseradish instead)! Definitely a new summer favorite. Perfect use for those fresh tomatoes and lettuce from the garden right now. Thank you! So glad you enjoyed it Miranda! Love a good egg salad. This looks really tasty.